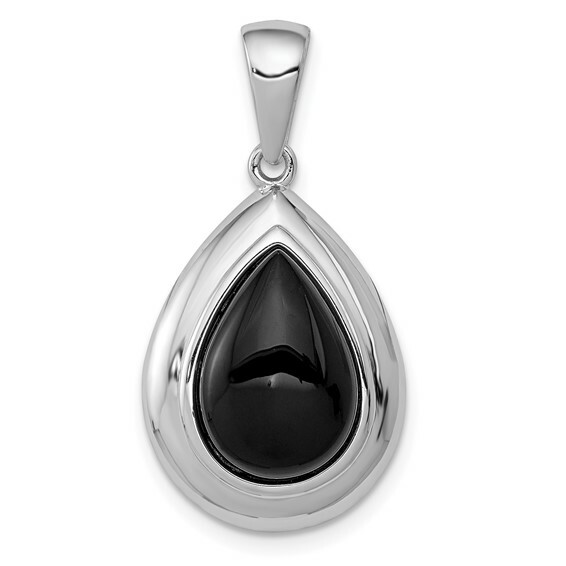 Sterling Silver Onyx Pendant has a tear drop shape. Measures 1 1/8 inches tall by 11/16 inches wide without bail. Fits up to 8mm chain. Weight: 2.5 grams.